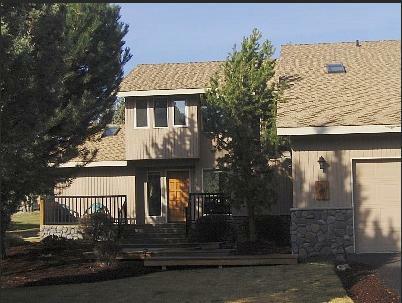 Our vacation home is located at Eagle Crest resort, a 1,000-acre 5 Star vacation and golf recreational resort located on the world-famous fly fishing Deschutes River. We are surrounded by ancient Juniper trees with thousands of acres of forest and high desert land nestled up against the resort. 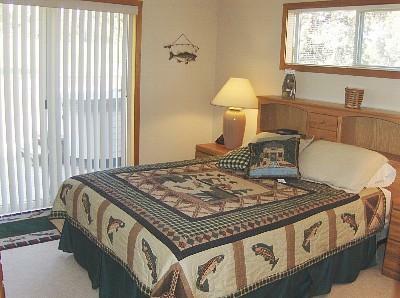 When you stay at the "Woodpecker House", you'll enjoy a spacious 4-bedroom/2.5-bath, 2,700-square-foot home, situated on one of the three golf courses at the resort. A wrap-around back deck with private hot tub looks over the golf course. Our guests receive complementary passes to all of the recreation centers at the resort including indoor and outdoor pools, spas and ternnis courts. 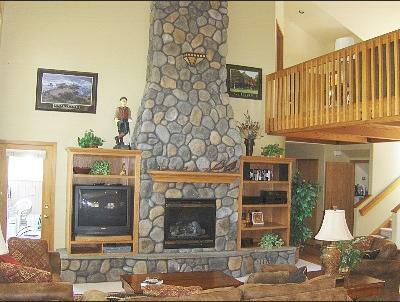 You'll enjoy a great room layout with 22' cathedral ceiling, stone fireplace and plenty of modern conveniences. 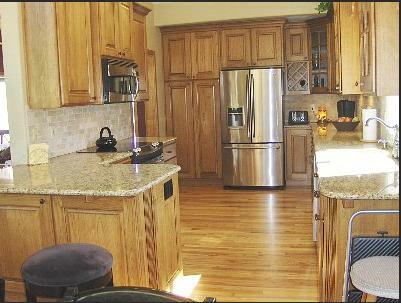 The kitchen is fully equipped, all linens and towels are provided. 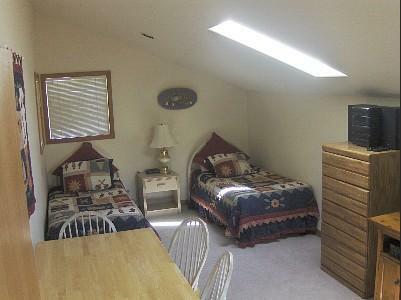 Additional amenities include televisions, DVD/VCR's, stereo, telephone, washer, dryer and gas barbecue. Central Oregon is high desert country. 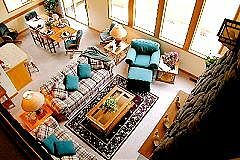 The resort is located on the Deschutes river and is among thousands of acres of wide open spaces that include open desert, wooded mountains, world class rock climbing, mountain skiing at Mt. Bachelor or fishing any of the hundreds of lakes and streams nearby. Golf is a primary draw and can be played nearly year round. We are located about 150 miles south east of Portland, Oregon. A drive from Portland can include the famous Columbia River Gorge or Mt. Hoods' famous year round skiing from Timberline lodge. 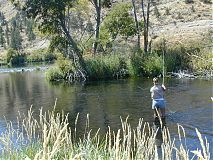 The central Oregon location between Bend, Redmond, and Sisters provides easy access to all outdoor activities. Snow skiing, hiking, biking, horseback riding, rock climbing, fishing, golf, tennis and whitewater rafting are just some of the things you can do in central Oregeon where we enjoy three hundred sunny days each year! The majestic Cascade Range is just minutes away. Cleaning must be arranged - the fee is $95/stay. Downhill and cross country skiing 45 minute drive away. Portland International Airport is about 3 hours drive away although you can fly directly into Redmond, Oregon airport which is less than 10 minutes away but why do that and miss the scenic trip over Mt. Hood or through the Columbia River Gorge?